Get wonderful collection of Joomla blog themes & templates, and also Joomla Magazine themes & templates here from the list shared. 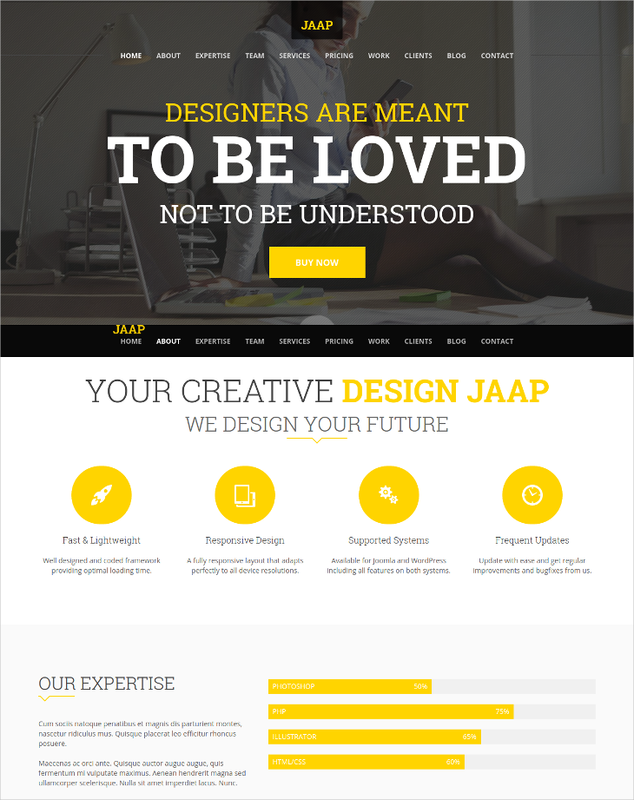 All of these templates are one-page designs, which are the latest demand in the making of mobile sites. Hence your site would have a fast loading speed with minimalist design, yet lots of functionalities to compete in the world of e-commerce. Start planning now with templates shared to get your site live soon. 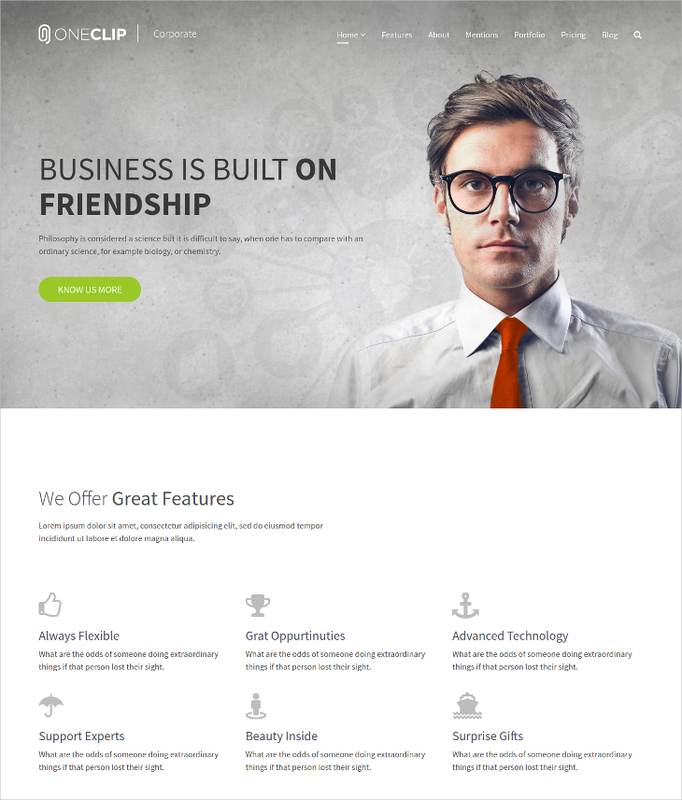 Experience great web design in Joomla, with lots of features that fits into this one-page theme. The features are, great template options., a working contact form powered by Ajax, retina readiness, SEO readiness, Azure page builder, great icons and much more. 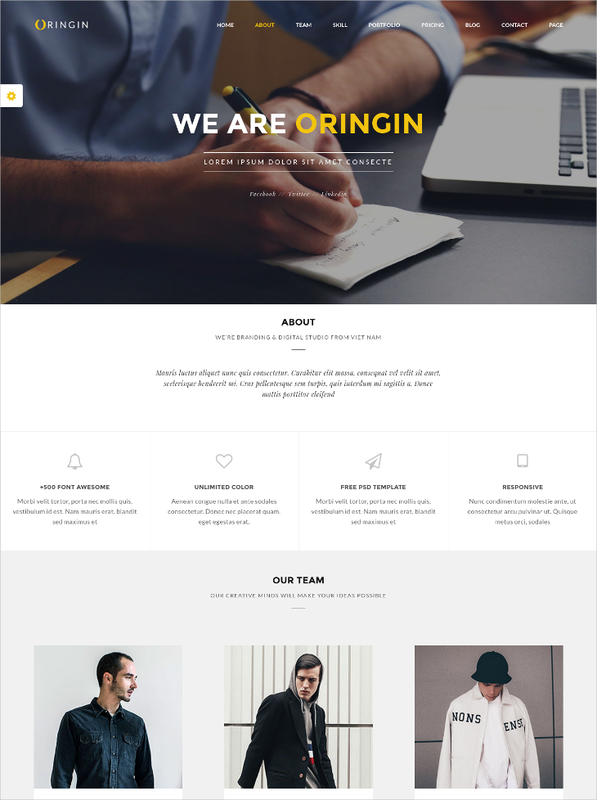 This is onepage style template, and the full page width slide that displays the main image in style is one of the best things about the theme. 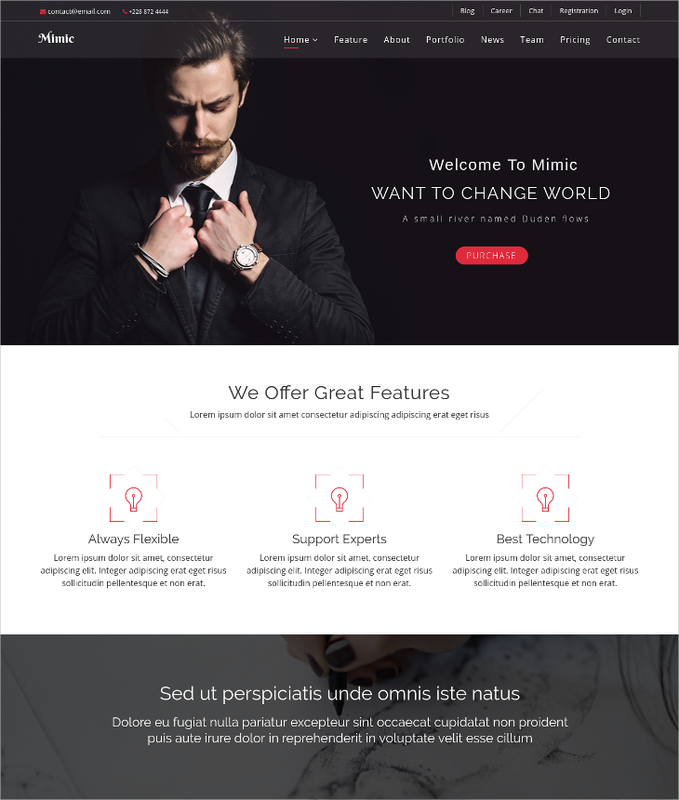 Features include parallax effect, MailChimp mail support, background video support and display, lots of shortcodes, lots of editable pages, NOO portfolio and lot more. 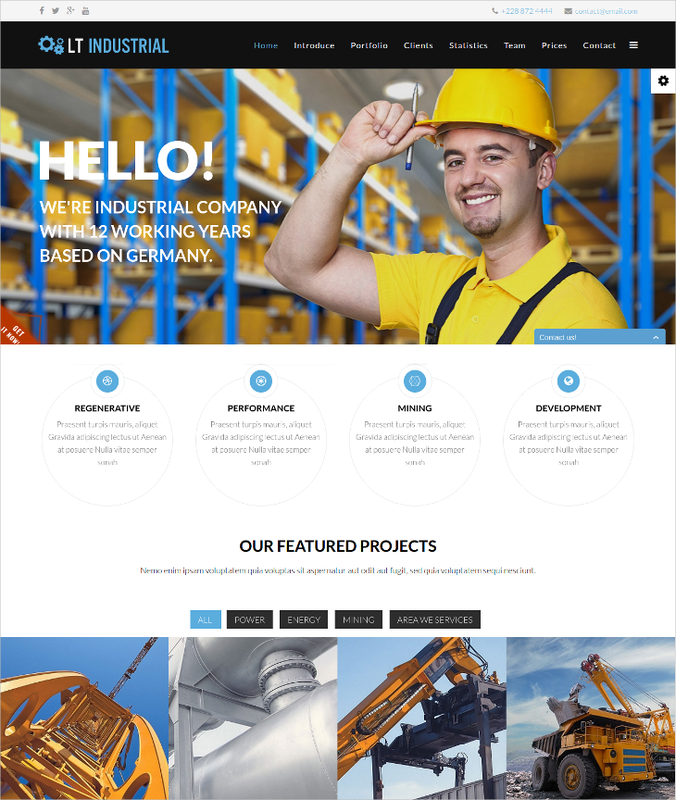 Made for any construction or engineering concern, the theme is well suited for the cause, and the revolution slider and lots of text input area on the site make this look great. Other features are a great framework, page title options, Bootstrap framework, mega menu support, article post options and much more. 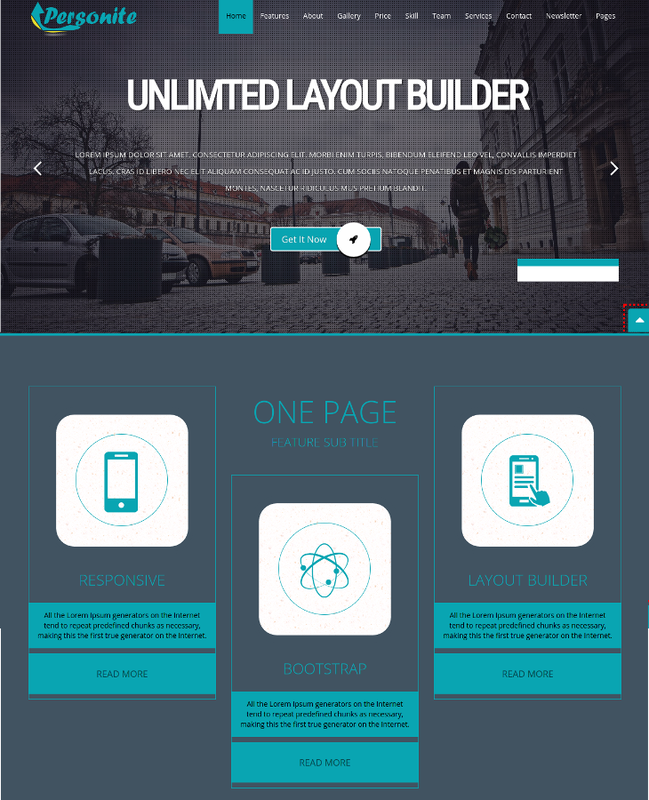 This one page theme has great site options, drag and drop site builder, multiple color schemes, great responsive design, a powerful page builder, business template, lots of layout settings and a quick start guide that makes installation ad settings real fast. 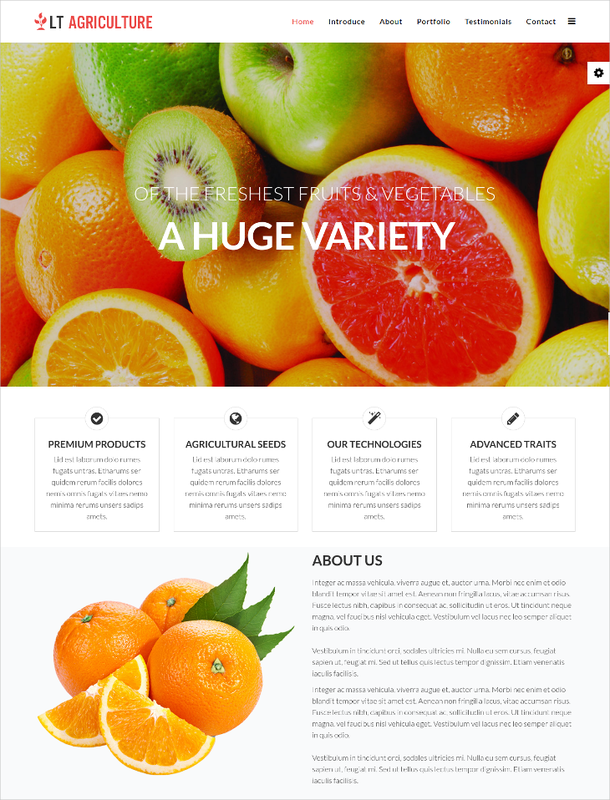 This theme is suitable for designing a food related website. Whether you do it for food recipes, or restaurant menu, or for a cafeteria, this one would look great. 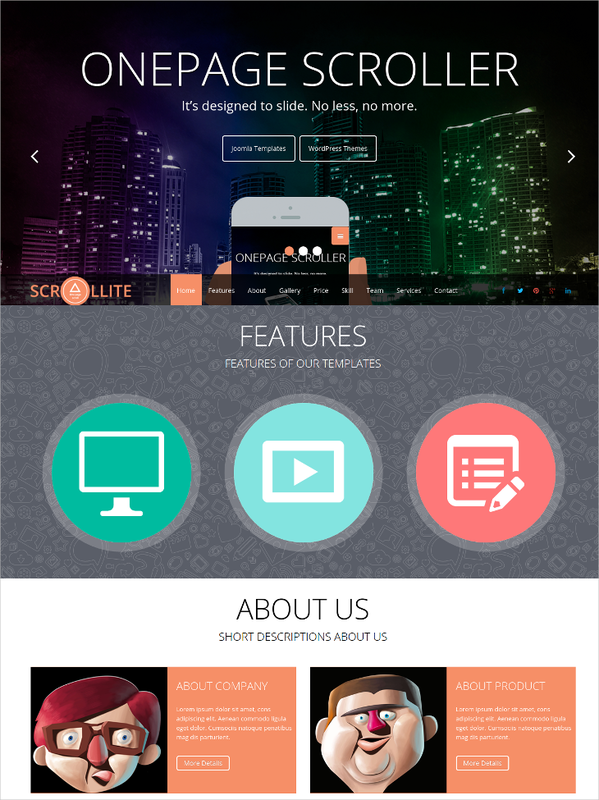 The features are onepage design, HTML5 and CSS3 support, 6 color schemes, Cpanel support, lots of shortcodes etc. 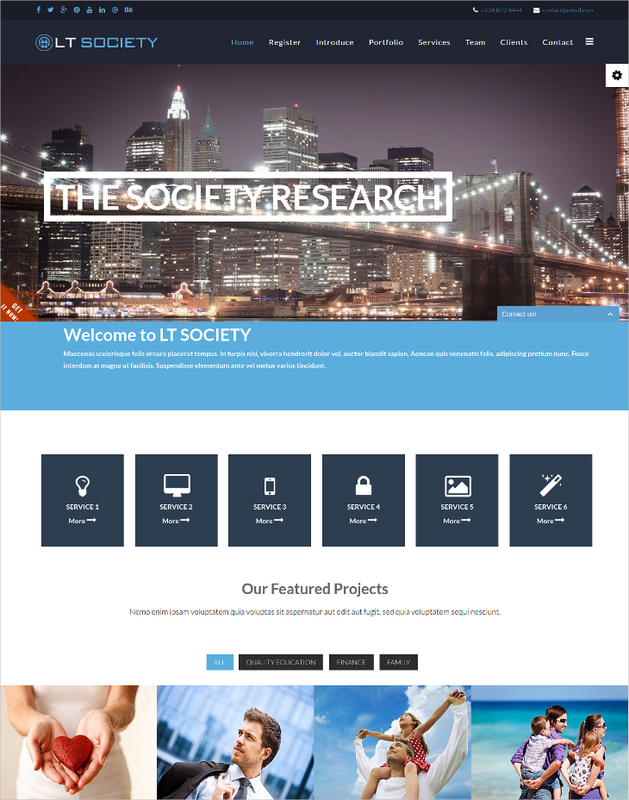 This is a nice theme very well suited for the corporate, and the theme features include a fully responsive design, retina readiness, logo support, Custom JSS codes, Bootstrap support, mega menu and off-canvas menu, article post formats, cross browser readiness, nice Google fonts etc. 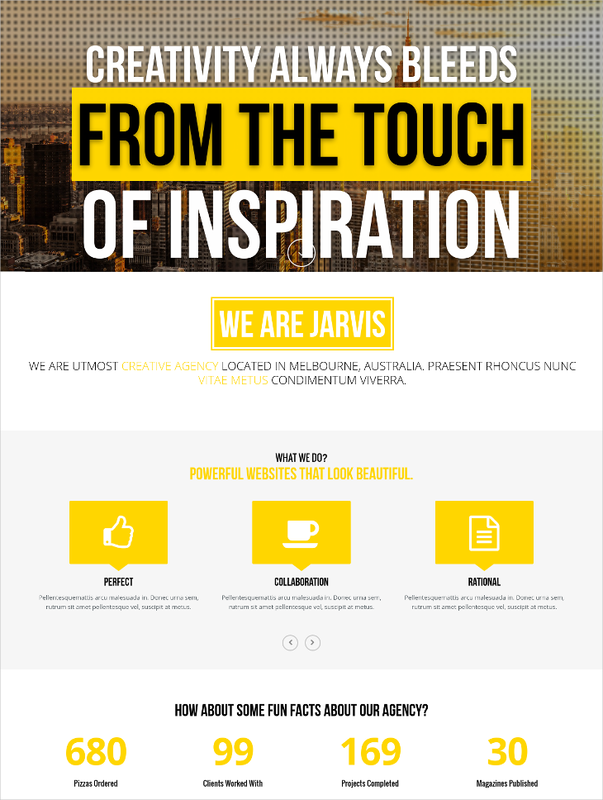 The one-page theme has a perfect combination of light and shade effect to look gorgeous. Use this for any site type and this will shine. The features you get in are easy admin panel that lets you customize and operate with ease, more than 35 shortcodes, SEO readiness, layered PSD, and multi-language support. This is a simple theme. The one-page design is quiet minimalist, one that can load faster, and very well suited for corporate and small business sites that have to be really mobile friendly. Other important features are easy to use page builder, a sticky menu on top, multilingual support and a lot more. 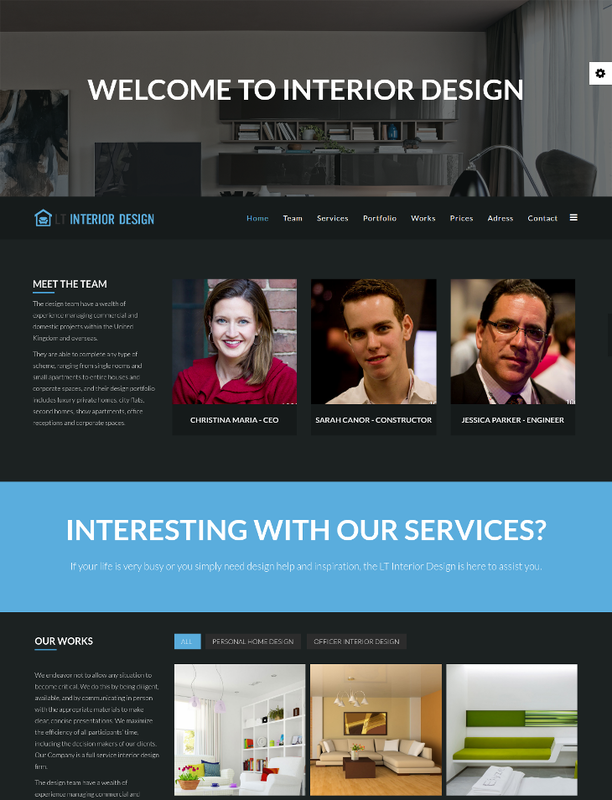 Your interior designing company can have a new glamorous face with this template. Get a clean and simple minimalist design, article post format, a mega menu generator, bootstrap support and a layout manager. There is also an optional header that is sticky. If you have to make a website for the real estate, then this is the design you may be looking for. The translucent design, and the images and collages you may use look great. The custom K2 template, shortcodes, a custom portfolio manager, a revolution slider, warp framework all look great. 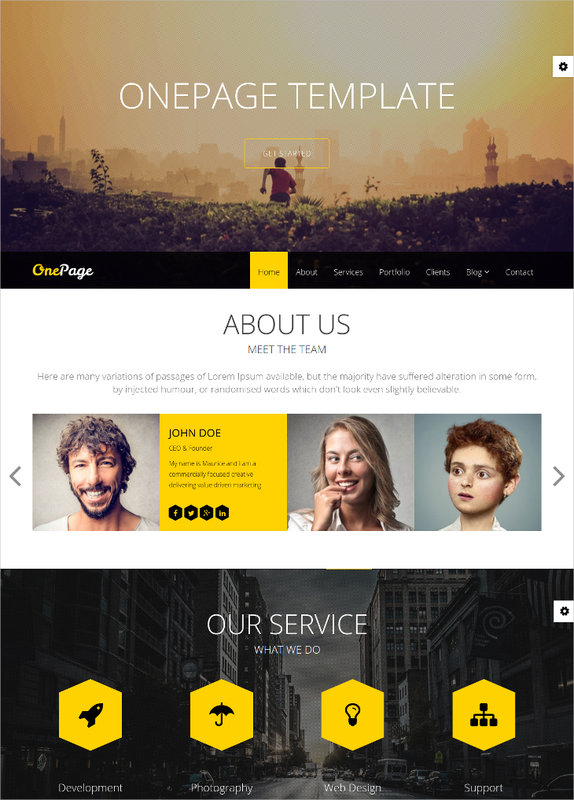 This onepage Joomla template design has some of the best elements to get used to any kind of site making. The flexible design is really mobile friendly, and also incorporates social sharing buttons, powered by RTL CSS style, 5 styles by default, off-canvas menu, SEO friendliness and much more. This is one of the best corporate themes in the one-page style, and the subtle use of hint colors makes it really sober and professional looking. The features are Bootstrap 3 support, retina readiness, SEO friendliness, HTML5 and CSS3 support, a counter and a portfolio filterowl carousel and a price table etc. 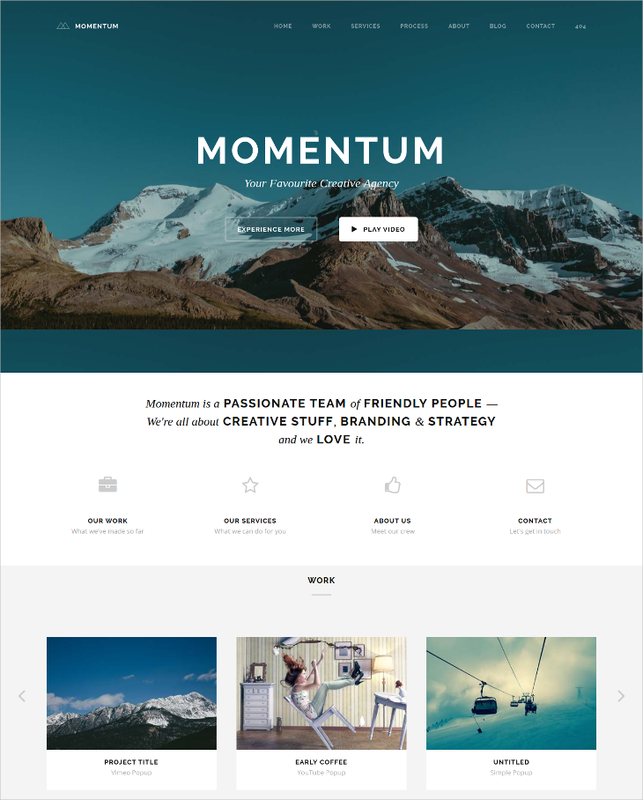 The look of this theme is very soothing, as the one-page theme shows off a slider at the top, and then you may place other page elements, text etc one by one. The SP pro page builder, Helix 3 template framework, the SP page portfolio are some such inclusions that make working with the template real easy. This has a full page slider and has a one-page template, and has a slate gray color theme, which looks very smart and professional. Other theme features are Helix 2 framework, lovely layouts of a portfolio, a quick start pack for Joomla, Acymailing newsletter, bootstrap support, and advanced HTML5 and CSS3 support. 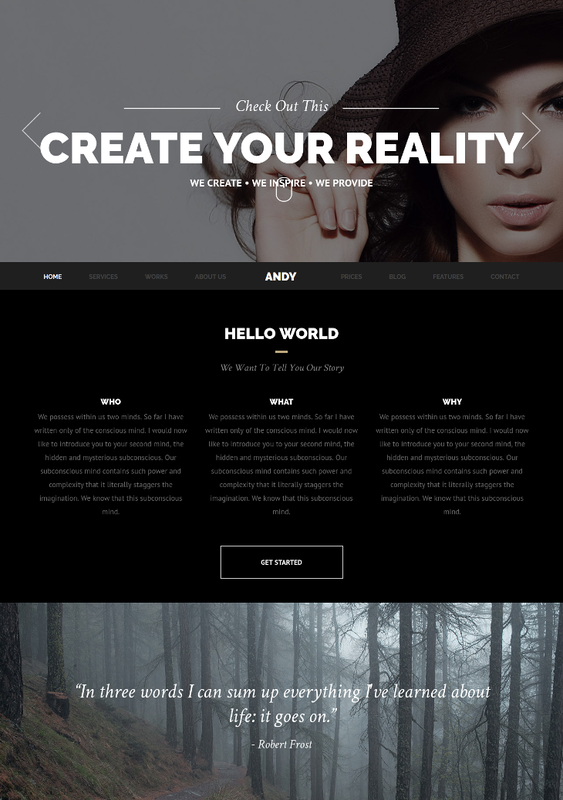 The theme features you get in this dark and crispy theme are, smooth scrolling of page, an Ajax contact form, great styles in portfolio, a full-width slider, bootstrap framework support, Helix II framework and more. 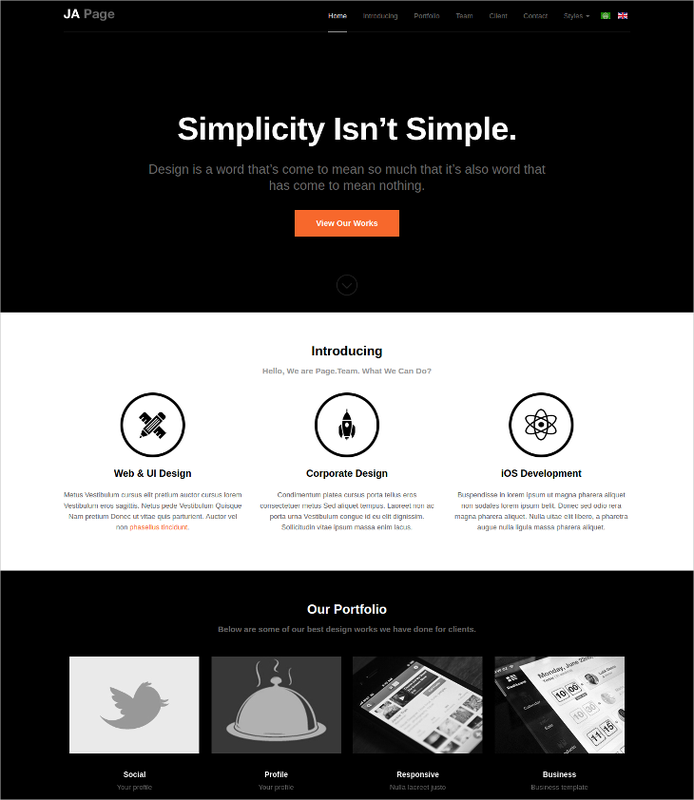 A full page full-width image theme is here, with one-page style. 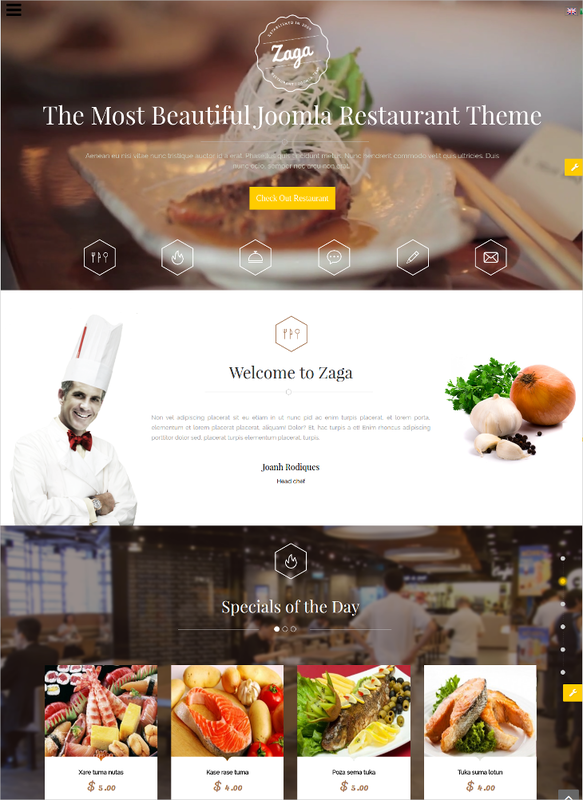 The theme offers a mega menu support, bootstrap support, page title options, a minimal design, and article post format, great layout manager, and Google fonts support, an optional sticky header and more. This theme has some sparkling light in it that is brought through the design. Use this in any nice product website, and to create an illusion of brightness. 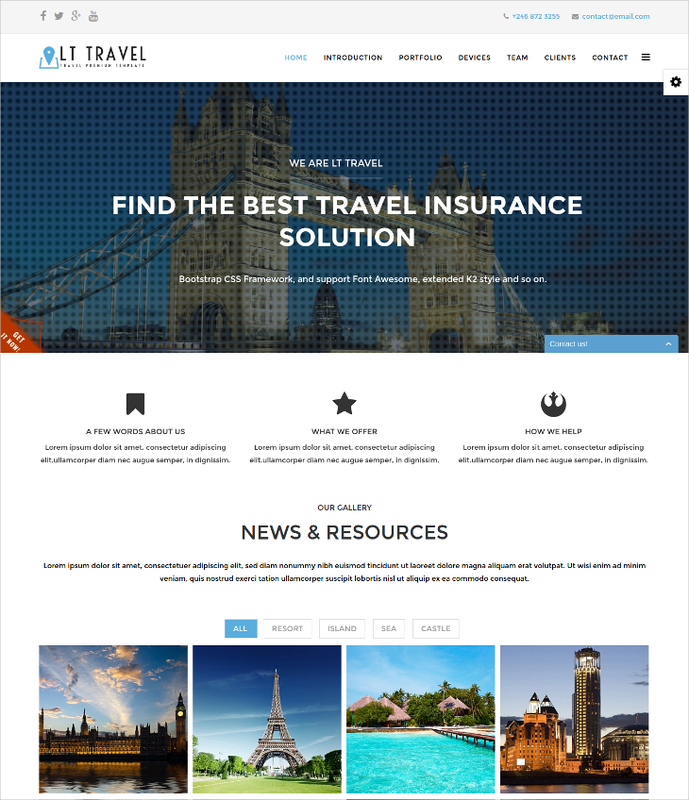 The theme features are totally responsive design, article post formats, Bootstrap support, great typography options, lovely layout choices, a sticky header and much more. As you can see, it’s quite easy to put up a one-page site with these lovely Joomla themes. You just need the installation guide which is included with every theme, and then you are great to go. The Joomla photography themes and templates you get here can also be used as Joomla business themes & templates.